LOUISVILLE, Ky. — August 20, 2014 — It’s not a standard wall oven. It’s more than a microwave. The latest microwave/wall oven combo is now available with GE’s most advanced cooking technology—the Advantium® speedcooking oven—the ultimate kitchen multitasker. It’s like having four ovens in one: Speedcook, true European convection, microwave and warming/proofing. Upgrading the microwave portion of the combo to the Advantium wall oven, GE is giving these appliance owners a plethora of cooking choices. According to the American Institute of Architects, more activities are taking place in kitchens. While kitchens haven’t significantly increased in size, they are including more technology. 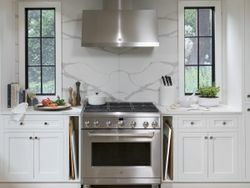 On top of the increasing use of technology, more people are remodeling their kitchens.1 GE’s new Advantium/wall oven footprint and connections match those kitchens that already have the built-in microwave/wall oven set and could prove a space-saver for other consumers looking to remodel the kitchen without adding additional floor space. The latest microwave/wall oven combo is now available with GE’s most advanced cooking technology—the Advantium® speedcooking oven—the ultimate kitchen multitasker. The Advantium component of the wall oven combo features technology that harnesses the power of light, cooking the outside of the food like a conventional oven with radiant heat produced by halogen bulbs above and below the food. This halogen-produced heat receives a boost of microwave energy. 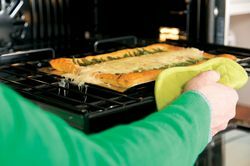 The result is it browns food and cooks evenly and quickly—two to eight times faster than a conventional oven—while retaining food’s natural moisture. 27” and 30” microwave/thermal-oven combo in GE’s brand with an MSRP of $2,999. Convection microwave/convection-oven combo in 30” Profile™ with an MSRP of $3,499. 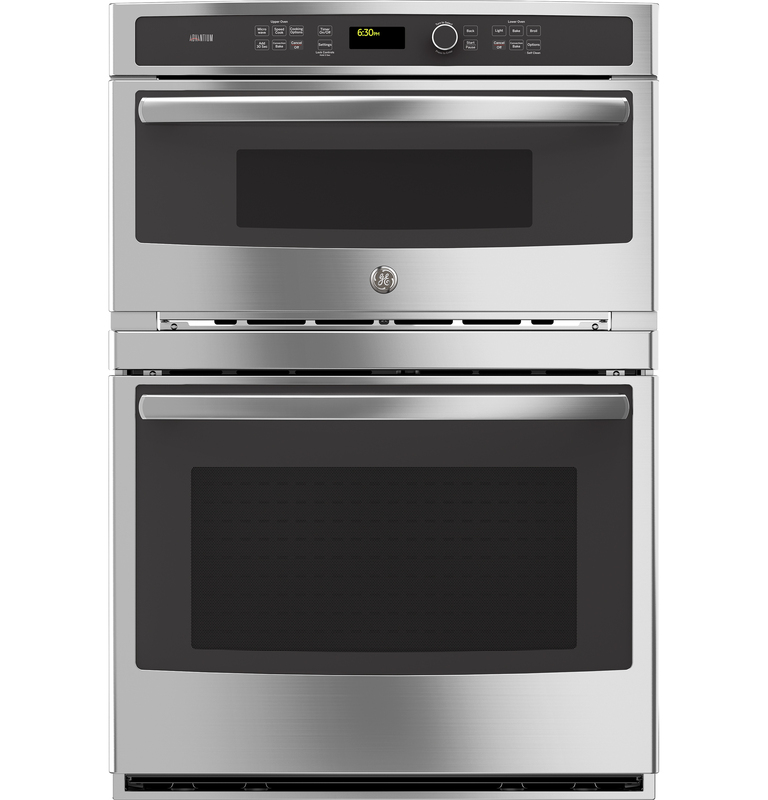 Only the Profile and Café™ models feature the option of an Advantium/convection-oven combo with an MSRP of $3,999. 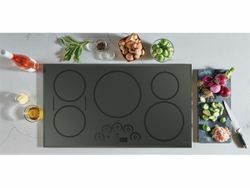 This combination is like having four ovens in one: Speedcook, true European convection, microwave and warming/proofing. The feature-rich Advantium® speedcooking/wall oven unit follows trends in kitchen remodeling—space saving and advanced technology. 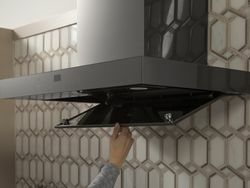 The Advantium component of the wall oven combo features technology that harnesses the power of light, cooking the outside of the food like a conventional oven with radiant heat produced by halogen bulbs above and below the food. The hidden bake design conceals the lower heating element so that spills and splatters are easily wiped away. Glass-touch controls allow users to quickly set oven settings and wipe away fingerprints and food splatters. GE’s exclusive Advantium technology combines three different cooking technologies: halogen light, microwave energy and true European convection. The Speedcook oven with Advantium cooking technology comes in a number of configurations to fit any kitchen design: over-the-range, single wall oven or built-in combination wall oven. 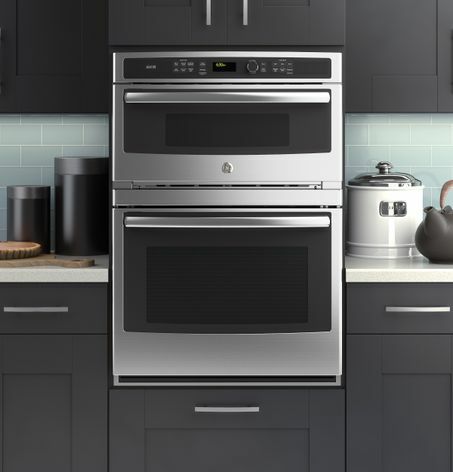 GE’s wall ovens offer two convenient cleaning options: steam clean for smaller stains and self-clean, which provides a concentrated heat for tougher messes. A 10-pass bake element allows for even cooking coverage in every inch of GE’s wall oven. Durable oven racks in GE’s wall ovens glide smoothly and can stand up to the heat of self-cleaning. 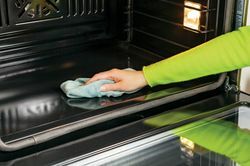 The self-clean racks in GE’s wall ovens have a durable coating that allows them to be left in during the self-clean cycle.